Our latest use-case comes from Fullstack Digital—a digital marketing and brand consultant agency that helps companies create comprehensive presences online. Companies rely on Fullstack Digital for digital marketing services to make their website better—generating more traffic, engaging with more partners, and optimizing conversions. But in order to figure out how they can improve a website, Fullstack first has to identify, diagnose, and understand the opportunities. That's where FullStory comes in. We spoke to Ben Bozzay, the head of web and marketing services at Fullstack Digital. 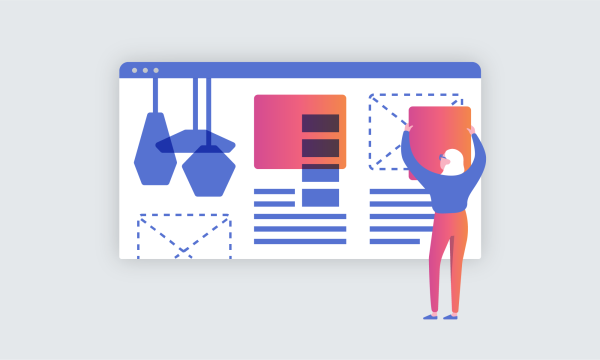 Ben reached out to share how using FullStory to understand UX problems on client websites has helped them optimize conversions—in some cases taking conversions from zero to 12+%. 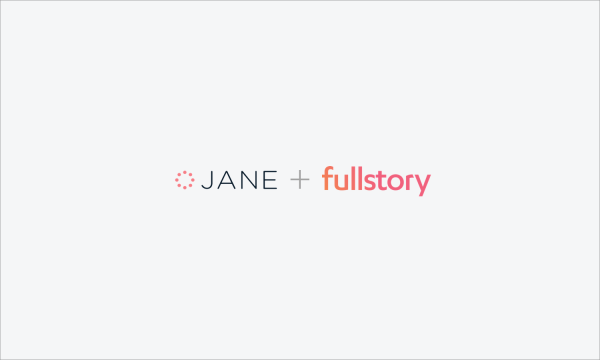 Let's take a closer look at Fullstack's approach to using FullStory. Session replay is evidence-based experimentation. Fullstack Digital has a burden unique to agencies: they must justify how and why they make their optimization recommendations to clients. Session replay can serve a critical role helping bridge between quantitative data and qualitative insights. While an agency can run experiments and assess results, so can the client. Agencies add value through researching and identifying opportunities and providing actionable insights—and getting results. Validating opportunities can be tricky based on quantitative data alone—you need a qualitative "why" to support any suggested action. Without the context around why certain numbers are moving up and down, it's difficult to figure out the connective tissue between quantitative metrics and website design. Fullstack Digital has found session replay in FullStory to be the missing qualitative piece they need to provide concrete proof of problematic interactions between the user and the website. Analyze obstacles to conversion with session replay. When a client came to Fullstack Digital with a 0% conversion rate on their PPC campaign landing page, Fullstack needed a way to understand the user interactions on the page. The client was in the legal services industry and heavily relied on long-form copy to explain their work. Fullstack's initial suspicion was that visitors were bouncing because the copy on the website was too long. But there weren't any quantitative metrics on the website definitively linking copy to low—in this case no—conversions. Fullstack needed a way to convince the client the issue was the landing page—not the ad targeting. Lots of scrolling — users were scrolling back and forth to different sections, indicating confusion around the messaging. Long sessions on a single page — users were taking a long time to work through the copy. Mobile issues — many users were coming from mobile. On the mobile version of the page, action items were below the point at which users stopped scrolling. Many mobile users left before they even saw the call to action to fill out a contact form. Rapid scrolling — many sessions showed users scrolling quickly through all of the text, apparently trying to skim through the long-form content. Rework the copy — the page copy is too long and dense for readers. Make it more concise. Improve the layout — the page layout needs to be changed because it forces the contact form to the bottom of the page. Improve the contact form — Some elements need to be taken out of the contact form to reduce friction and "form avoidance." Fullstack Digital created separate landing pages with new copy, a new layout, and a shorter contact form. New pages launched, users finally, immediately started converting, rising by full percentage points. The following day, the conversion rate was 10x higher. Discovering opportunities for improvements watching user sessions. Watching session recordings frequently leads to discovering unexpected opportunities for improvement. Having boosted conversions on their legal client's landing pages, Fullstack continued to monitor user session recordings in FullStory. When landing on the page, Fullstack noticed users rapidly decided whether or not to read the page. The decision to bounce seemed based on what the users saw at the top of the page, alone. Fullstack speculated the headline was to blame, negatively impacting conversions. The solution was simple. The team edited the legal client's headline by adding to it that the client was an “award-winning provider.” This simple signal of client credibility resulted in conversion rates increasing, peaking around 14% with a 11% average rate, factoring in other variations. A system of incremental improvements through A/B testing. Conversion rate optimization is driven by incremental improvements. For that, marketers' tried-and-true strategy is experimentation through running A/B tests. FullStory amplifies the analysis of A/B test results by powering qualitative insights that inform why an experiment is working—or not. Traditionally, when a landing page fails, you're left speculating about what went wrong. With session replay, you need not guess and failures become learning opportunities. Run a post mortem by watching session recordings on the page variant. Observe what isn't working and see if you can salvage the experiment by informing the next iteration of the page. For example, in one A/B test Fullstack Digital ran for their legal services client, they noticed a new landing page they designed had a 0% conversion rate. Ouch. What was going wrong? Fullstack pulled up session recordings on the A/B test page variant and started watched user sessions. What they found was that users were rage clicking, haphazardly scrolling, and on some browsers, the last form field was covered by a button. Fullstack used these insights to iterate on the original page design. Not surprisingly, the next test saw conversions increase from 0% to 6%, with the highest of the page variants converting at 14%. Session replay is powerful evidence and actionable insights. Showing Fullstack Digital's client concrete evidence to support their recommendations using FullStory session replay was critical to their success. What more, watching session replay powered the kind of incremental, detail-oriented improvements to landing pages—as experimented on using A/B tests—to increase conversions. Indeed, the legal services client was so happy with their results, they signed on for future optimizations, referring to the Fullstack team "rockstars." Going forward, Fullstack is excited to bring their conversion rate optimization chops to other clients—and FullStory is ready to help. Thanks to Ben Bozzay and Fullstack Digital for sharing your story!